A core ethos of Sligo PPN is to represent the voice of the community at the decision making table and to act as a platform whereby issues of collective community concern can be raised. This issues template allows registered groups to raise issues that they feel are affecting the broader local community. Issues logged will go to the PPN Secretariat at their next monthly meeting for review and redirection to the most appropriate committees or individuals. 3. What is your suggestion for addressing this issue? 5. Have you previously raised this issue with elected members or Sligo County Council officials? What action has been taken? One issue that the PPN constantly hear about is the rising cost of insurance and the implications on the community sector. 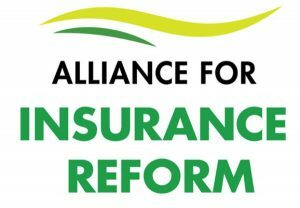 In recognition of this, the Sligo PPN has become the first in the country to join the Alliance for Insurance Reform and we publicly endorse their 10 Asks of Insurance Reform. If you have a story of how the rising cost of insurance has negatively affected your group please let us know at ppn@sligococo.ie or PPN, City Hall, Quay Street, Sligo and we will be sure to pass your story on to the alliance to support their cause.